Sometimes knee injuries can be a nagging ache that sticks with you. In other cases, knee pain is sharp and stabbing and can hinder walking or movement. Knee pain is serious and should be diagnosed and treated quickly to help get you back to feeling your best. Below, let's take a look at some common reasons people feel knee pain and learn how a chiropractor, like Capitol Rehab of Crofton, can help. Often, through sports or accidents, knees can become injured. The knee is a very intricate part of the body with many tendons, muscles, ligaments, and bones. One common knee injury is a knee dislocation. This occurs when the knee becomes dislodged from its socket. Another common injury is a knee sprain or a strain. This is usually the result of the muscles, tendons, or ligaments in the knee becoming over stretched. More serious injuries to the knee include ligament and tendon tears. Depending on the size and location of the tear this injury can often require surgery to repair. Some knee conditions can cause ongoing knee pain. These often can develop with age, as the knee joints start to build up hardened tissue and don't move as smoothly as they once did. The bones around the knee can also start to develop bone spurs which can cause clicking, popping, and stiffness in the joint. Many knee conditions are a result of overuse. It is quite common to develop tendonitis in the knee. The frozen knee is another common condition that can cause knee pain. A frozen knee is a chronic condition that usually results from extended overuse that has created a build up of joint tissue and scarring. 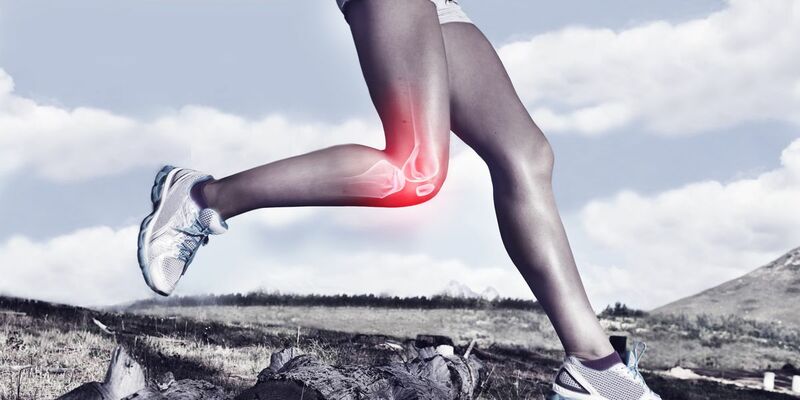 A frozen knee can not only cause joint pain but can drastically decrease the range of motion. A chiropractor is able to bring balance back to the body. Often our muscles become over used or stretched too far when we are compensating for an injury, such as a knee injury. The first step when visiting the chiropractor is to do a full evaluation. This may include MRIs or X-Rays to fully diagnose the injury. From there, your doctor will work to set up an appropriate treatment plan to help ease your knee pain. This can include anything from manipulation of the neck and back to strengthening exercises for the muscles surrounding your knee. Often with knee injuries, your chiropractor will prescribe a home regiment of physical therapy. Contact Capitol Rehab of Crofton in Crofton, MD! At Capitol Rehab of Crofton we want people to feel healthy, so they can get back to the things they love. Our team of professionals is dedicated to answering your questions and restoring your mobility pain free. Our office is conveniently located at 1302 Cronson Blvd Ste F, Crofton, MD 21114. To learn more about our services or to schedule an appointment, call us today at (410) 451-3561. We are always eager to accept new patients.